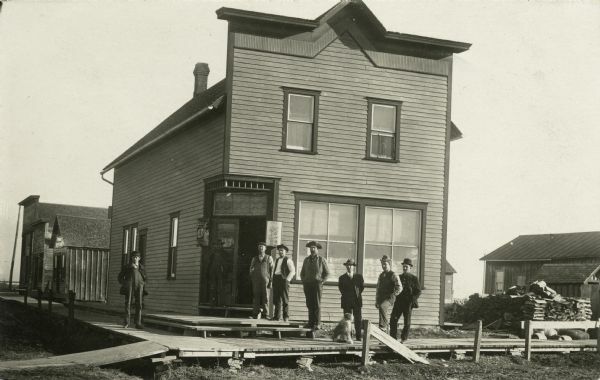 Eight men standing outside a corner tavern. The men are standing on a plank sidewalk with a dog. The is a Blatz Beer sign hanging outside the door.